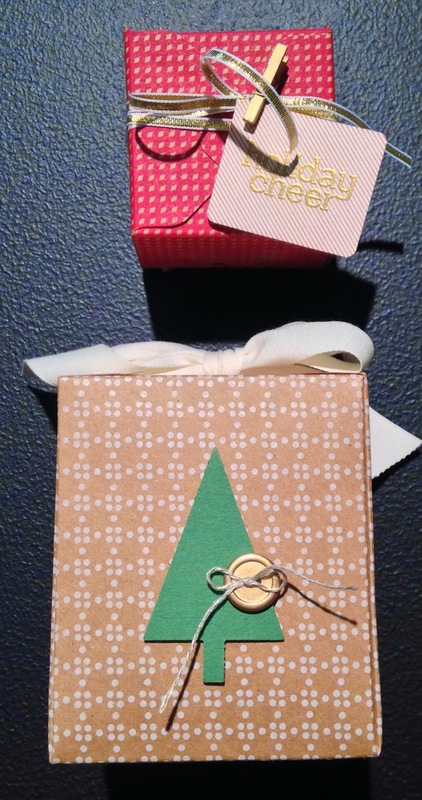 Here are more Holiday catalog sneak peeks from Inspire, Create, Share 2014, Stampin' Up! 's convention. This time I'm sharing different packaging ideas that were on the display boards. 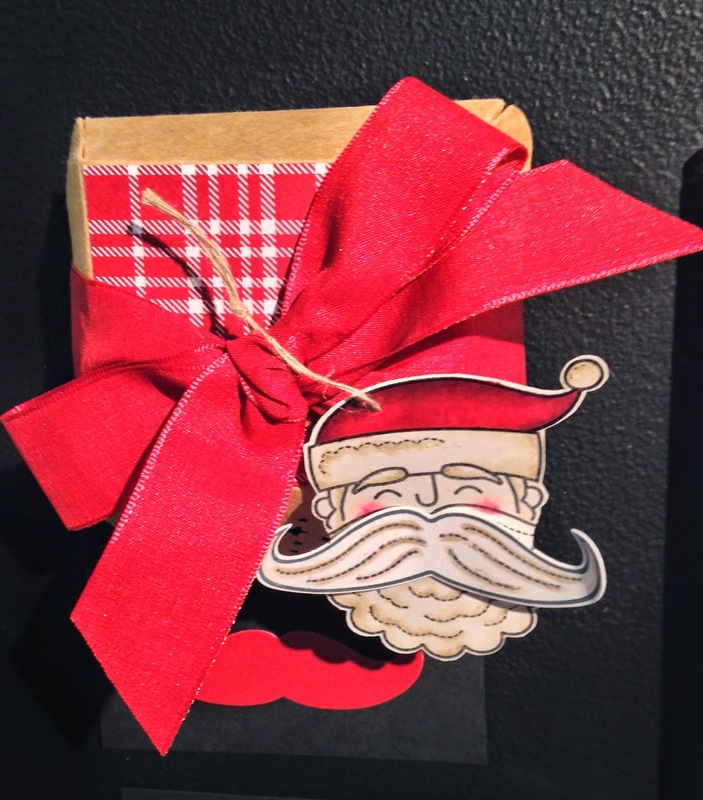 The first package uses the Santa Stache stamp set and the Mustache framelit (133741 $7.95). 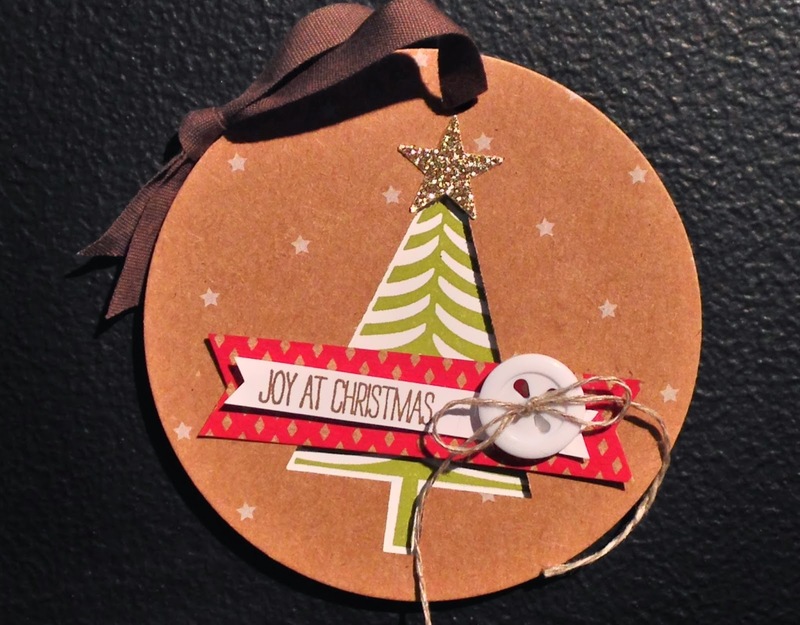 This Christmas tree tag uses The Festival of Trees stamp set and the coordinating tree punch. These two items will be available as a bundle for 15% off! Another must have on my wish list is the Curvy Keepsake Box Thinlits Dies that was used to make this box. The finished box measures 2 1/2" x 2 3/4" x 2 1/2". 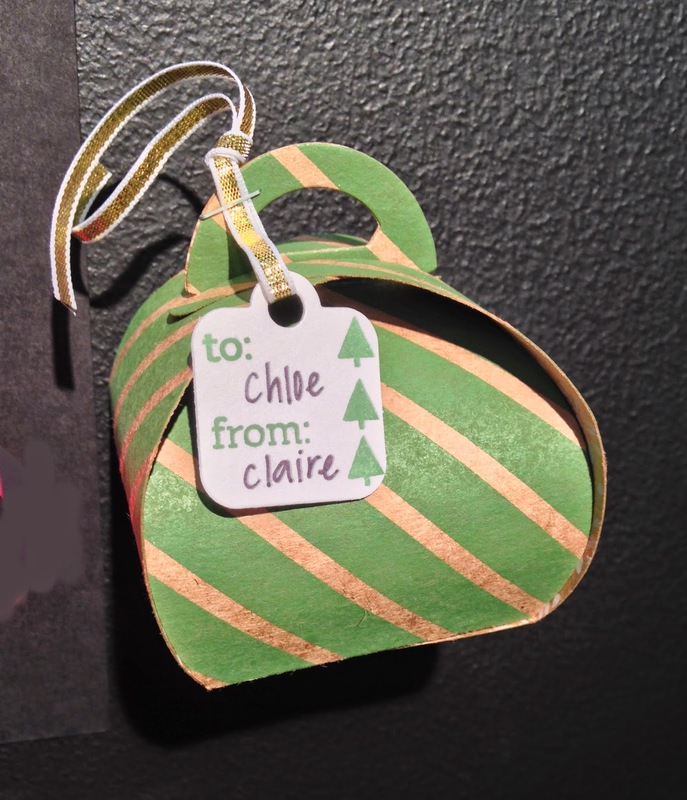 It was made using the Under the Tree Specialty Designer Series Paper. This paper is cardstock weight to make a sturdier box. Stampin' Up! is also introducing a Gift Box Punch Board! That is how they made these boxes. With the Gift Box Punch Board, it will be easy peasy to make boxes up to 4" on each side. 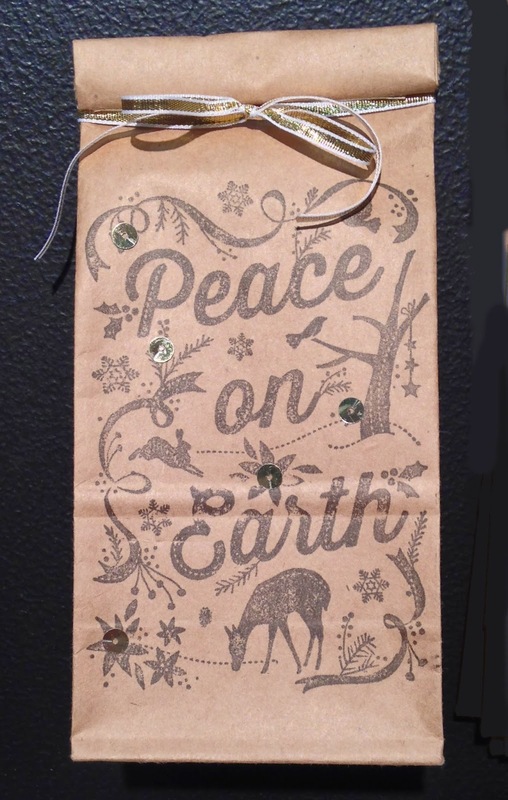 The Nature's Peace stamp set was used to make this striking gift bag from a brown paper sack! The same stamp set can be used to make coordinating tags and cards. Can't wait until August 28 to buy your Christmas stamp sets? Beauty of the Season is available through July 31st! Check out my blog all this week for more Inspire Create Share 2014 projects including Christmas card ideas from the Holiday catalog.